Kenny Omega is the latest celebrity icon to brace the FGC, though, unlike some oft he others – he’s most certainty a crowd favorite, and is also a passionate Street Fighter fan as well who definitely knows quite a bit about the game. Not only that, but Kenny Omega also had the opportunity to act as his favorite Street Fighter character, Cody, in Capcoms official Cody reveal trailer which released earlier back in the Summer. Even following these cameos, Kenny has stuck around attending events, competing, and even commentating and now it seems he’s taking things to the next level. 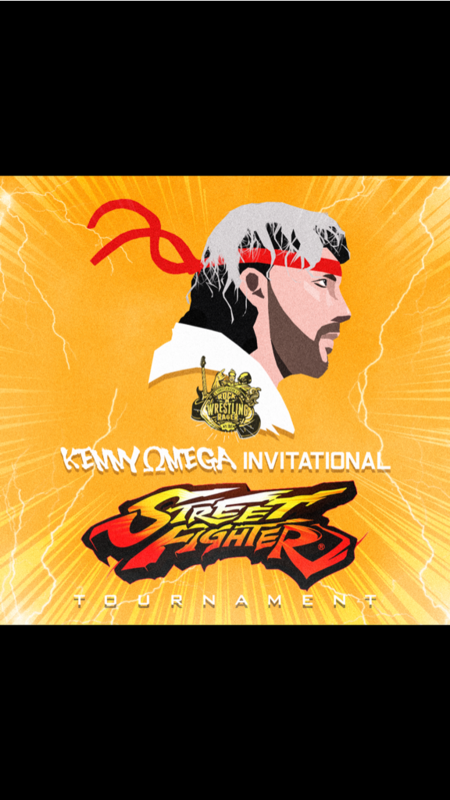 During a special Wrestling Cruise which is set to take place during the tail end of October called the “Rock ‘N’ Wrestling Rager”; Kenny Omega will be holding a Street Fighter V Invitational tournament, where players will compete for a chance to fight against Kenny Omega himself in Street Fighter V.
Those who may be interested in attending the cruise and playing in the Invitational should definitely checkout the official website for the cruise to find out more information in regards to pricing and other important cruise details.